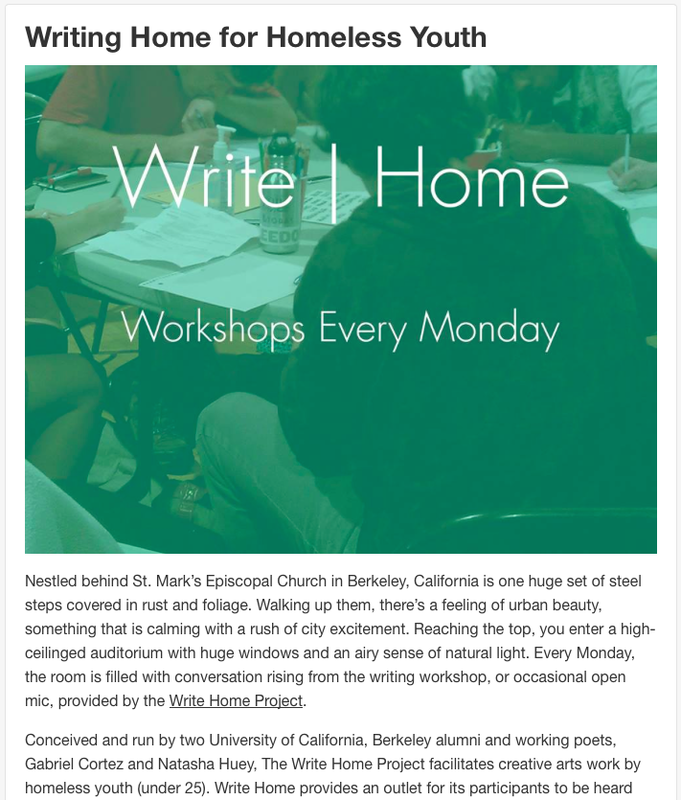 We are so honored to have this new coverage of the Write Home Project’s work with homeless Berkeley youth by the great artist and journalist, Victor Valle. Please share, tweet and repost. UPDATE: This article has since been featured in the Berkeley Side. To see it as it appears on the Berkeley Side’s website, please follow this link.